with impact damage from The Isle of Wight . 10 days due to 'cowes' regatta . The strength of the grp superstructure adjacent to the split is significantly weakened due to the impact damage which occurred in the Solent. 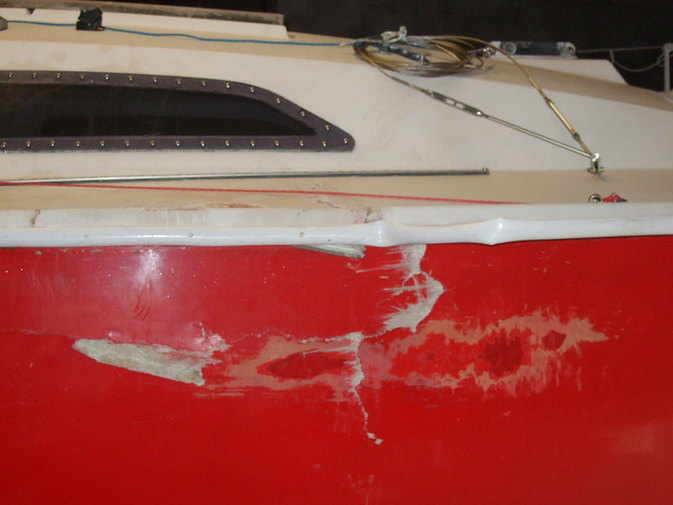 The hull sustained impact damage to the gelcoat ,jointing strip and weakened an area approx 1mtr square . 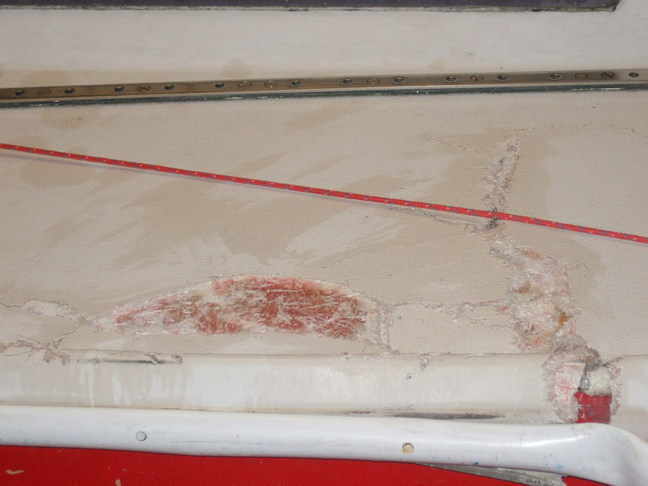 The hull and deck were strengthened in the damaged area using a combination and chopped strand matting laminate . 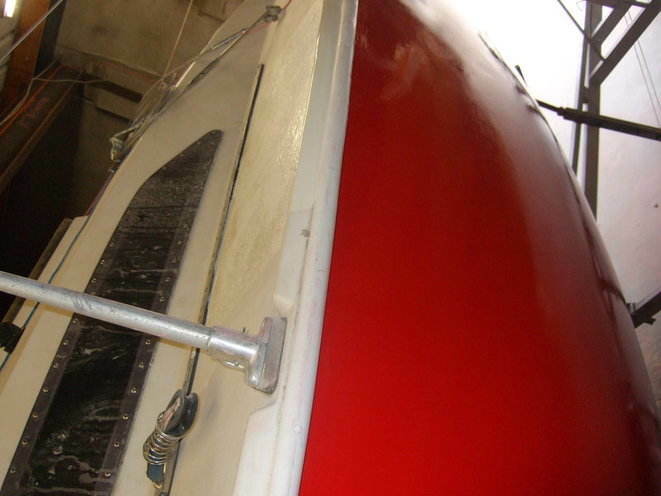 Gelcoat works were also completed. 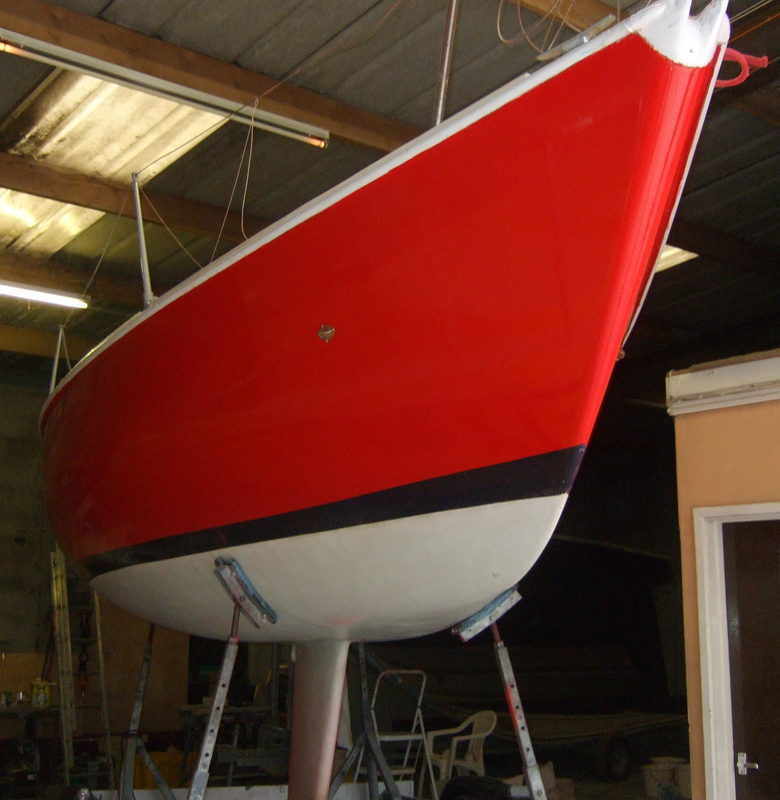 A new joining strip was fitted to the outside of the hull and deck joint and all works were completed in time for the customer to participate at the Cowes Regatta . 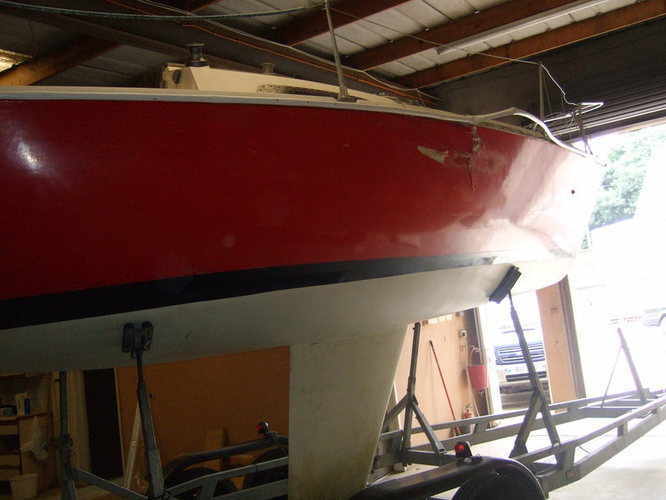 The boat was delivered to the South Coast 7 days after receiving it ! The customer was extremely pleased with the finished job and the turn around time .